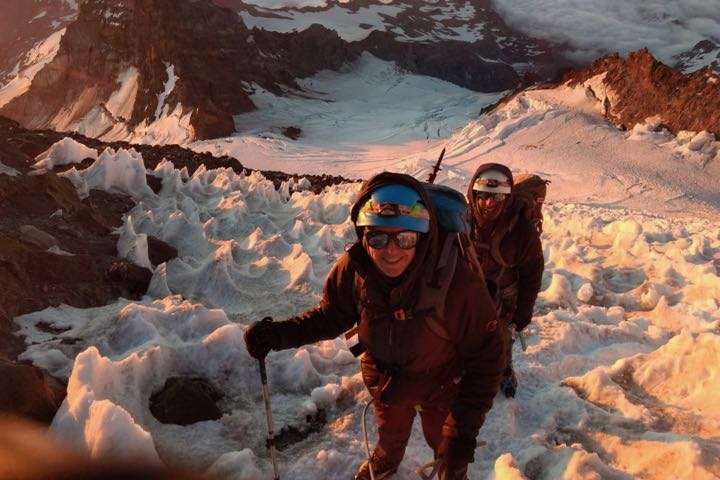 Since 2008, TMG has been awarded a one-time permit to guide Mount Rainier via the Emmons Glacier. Our trip will begin outside the park on Sunday where we will meet for an afternoon meeting, gear check and pre-climb briefing. The following day we will head in to the White River trailhead and our goal for the day will be to climb to Glacier Basin Camp at approximately 6,000 feet. Day two should bring us to about 9400′ at Camp Shurman. We have allocated Day three as our first chance to summit, but we also have Day four as well. We will plan to hike out on Day five. We feel that a five day climb will give us the best chance for proper acclimatization in order to succeed on a climb of this magnitude. The Emmons Glacier is a physically demanding climb. Trailhead to summit gains over 10,000 feet. With at least three days in a row of technical glacier travel, and a 5,000 foot summit day. 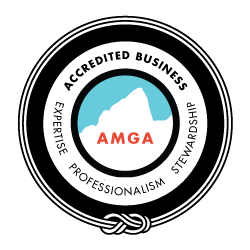 Due to the limited nature of our permit, this trip is open only to climbers that have joined us on prior climbs. Generally, this program is booked in the Fall of the prior year.